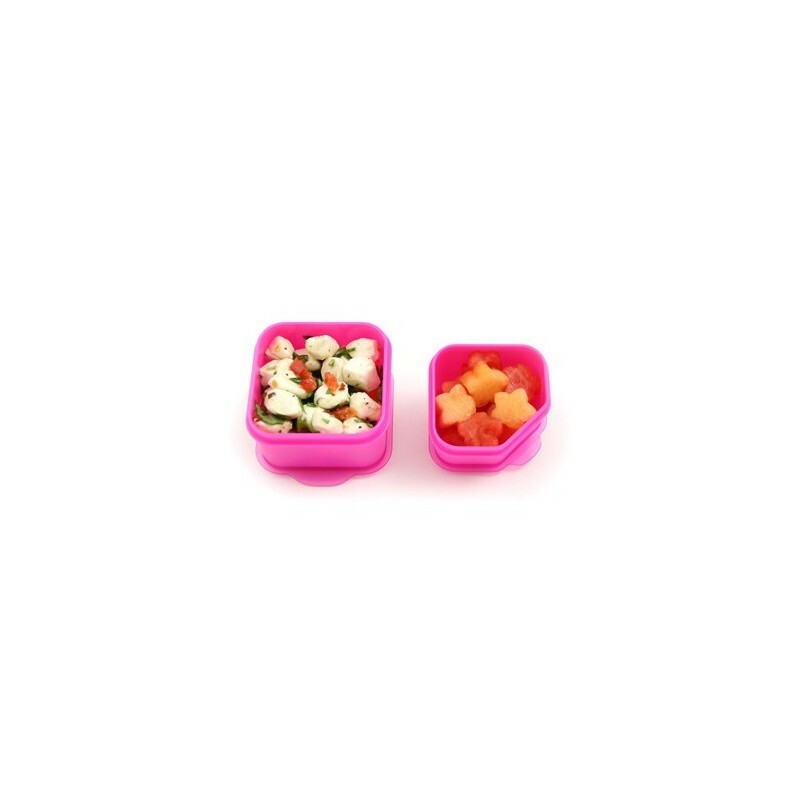 Pack a waste-free lunch with the Goodbyn dipper set of food containers. 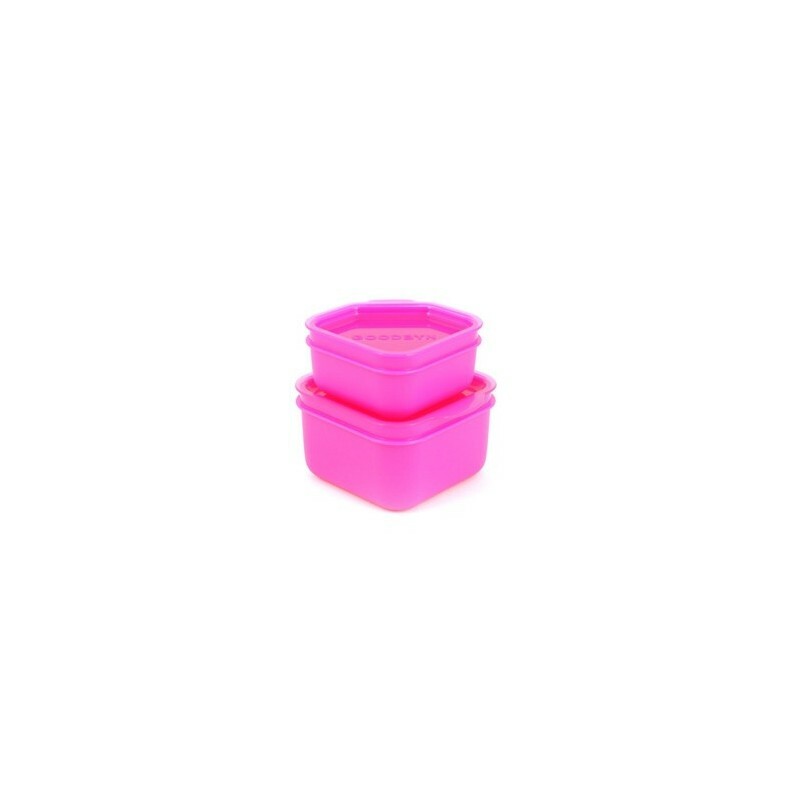 Includes 2 dipper containers ideal for yoghurt, snacks, dips and more. Will nest inside the Hero and Bynto lunchboxes. BPA, phthalates & lead free. 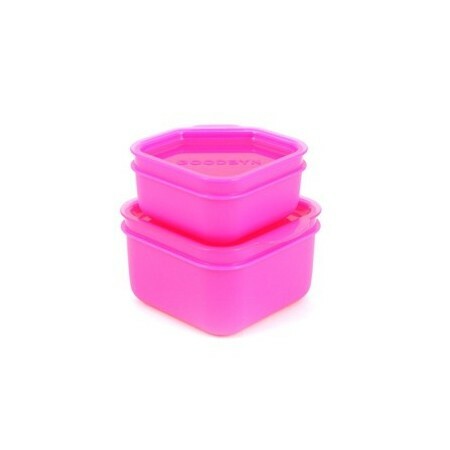 The Goodbyn dipper set includes 2 sizes of container ideal for yoghurt, snacks, dips and more. These can nest inside the Hero and Bynto lunchboxes or to use separately for extra space. 1 x medium dipper container. 1 x large dipper container. Will nest inside the Goodbyn Hero or Goodbyn Bynto. Please note: not suitable for soups or watery contents as Goodbyn containers are not guaranteed leak proof. Medium dipper : 6.5cm x 7cm x 3cm (77ml). I love the colour and size of these containers they are very easy to use and toxic free.